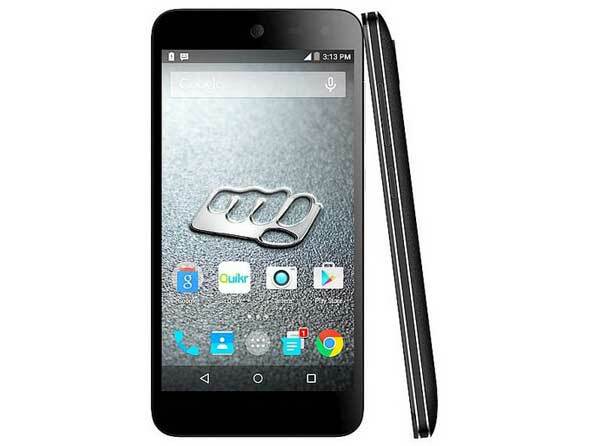 Micromax Canvas Nitro 4G E455, Micromax most affordable mid-range smartphone with Octa-core SoC, 13-MP+5-MP Camera launched in Indian market on 27th Aug. 2015 priced at Rs 10,999 but Micromax Canvas Nitro 4G E455 available online through India Times Shopping priced at Rs 10,430. It will counter Samsung Galaxy J5. Micromax Canvas Nitro 4G E455 runs on latest Android 5.o Lollipop via FOTA (firmware over-the-air) powered by a 64-bit 1.4GHz Snapdragon 400 series Octa-core processor with 2GB RAM offers you superior gaming environment and takes your multi-tasking to next level reducing heat and allows to run your apps smoothly while 16GB internal memory and 32GB MicroSD card slot allows you to store your favourite songs, movies and games. Micromax Canvas Nitro 4G E455 sporting a 13-MP rear camera with LED Flash, Auto Focus and Sony IMX219 CMOS sensor with a ‘blue glass filter’ with professional Mode like White Balance, ISO, Exposure and Anti Banding and 5-MP front facing camera perfect for clicking selfies and making video call packed with a 2,500 mAh battery measures 140.5 x 69.75 x 9.3 mm and weight 135gm. Micromax has launched two budget selfie-focused smartphone, the all new Micromax Canvas Selfie 2 (Q340)) and Micromax Canvas Selfie 3 (Q348)) in India on 18th Aug. 2015 in Blue, Green, Purple, Sky Blue and Yellow color option . The all new Micromax Canvas Selfie 2 with Dual-5-mp Camera is on sale through Flipkart from Today priced at Rs 5,999 while Micromax Canvas Selfie 3 with Dual-8-MP camera will go on sale by the end of Aug. 2015 expected price approx, Rs 6,999. The all new Micromax Canvas Selfie 3 Q348 supports Dual-SIM(GSM+GSM), Micro SIM, Bluetooth 4.0, Micro-USB, Wi-Fi , GPS, and a 3.5mm runs on most advance Android 5.50 Lollipop OS and powered by a powerful 64 Bit, Quad-Core processor clocked at 1.3 GHz with 1GB RAM, 8GB internal memory and 32GB Expandable memory promising superior multitasking. Micromax Canvas Selfie 3 Q348 offers you a 4.8-inch HD AMOLED HD (720×1280 pixels) display with Corning Gorilla Glass 3 protection with wide angle HD viewing perfect for multitasking sporting a 8-MP rear Auto focus camera with LED Flash, Blue Glasses and 5P Largan Lens for low light photography and 8-MP front facing camera with LED Flash , Sony MX179 sensor for clicking 78-degree wide-angle selfie shots powered by a 2300mAh Li-Po battery promising talk time up to 11 hours and standby time up to 400 hours. while the all new Micromax Canvas Selfie 2 Q340 supports Dual-SIM(GSM+GSM), Micro SIM, Bluetooth 4.0, Micro-USB, Wi-Fi , GPS, and a 3.5mm runs on most advance Android 5.50 Lollipop OS and powered by a powerful 64 Bit, Quad-Core processor clocked at 1.3 GHz with 1GB RAM, 8GB internal memory and 32GB Expandable memory offers you a 5-inch FWVGA IPS(854×480 pixel) display sporting a 5-MP rear Auto focus camera with LED Flash, Omnivision OV5648 Lens, 4 Largen Lens and 5-MP front facing camera with LED Flash , Omnivision OV5670 lens, 5 Largen Lens powered by a 2000mAh Li-Po battery promising talk time up to 9 hours and standby time up to 374 hours. At last I would like to say that Micromax Canvas Nitro 4G E455 will rule the Indian market. What you think? Please be open to give your view.